The best combo sprinters returning this season are Azjani McGill of Monterey and Kurtis Lee of Evergreen Valley. McGill is the top returning finisher in both the 100m and 200m from last year's section final meet. Lee also qualified to the final in both events and has the fastest returning time in the 200m. at 21.73. The fastest returning 100m. sprinter is Dominic Haggerty of Mitty who recorded his best of 10.87 at the WCAL final as he bested sprinters in the toughest league in the section. In the 400m., Joey Monti of Los Gatos (50.10) and Rory Hatcher of Santa Cruz (50.20) are the top returning 400m. in the section. At last year's section meet, Bellarmine senior Alex Scales defended his 1600m. title holding off three talented runners who will all be battling for their own section title this season. The second place finisher was St. Francis now senior, Colton Colonna. He has been part of the best section cross country teams in history and now Colonna will be aiming to claim his first individual title. He recorded his best time of 4:13.81 at the California state meet and will be aiming squarely for the top of the podium at this year's section meet. Westmont sophomore Garrett MacQuiddy saved his best race of the season for the section final as the recorded a personal best of 4:16.54 to claim the last state qualifying place. Finishing in 4th place was Bellarmine freshman Colin Peattie (DeAnna Turner photo above). He set a new CCS freshman record in the 1600m. as he recorded a best of 4:16.83. While he didn't qualify for state, Peattie proved to be a tough competitor and will be one of the best distance runners in the section. MacQuiddy is also the fastest returning 800m. runner in the section at 1:55.65. The top returner from last year's 800m. section final is St. Francis junior Euan Cairns. He finished in 7th place and will be the favorite at this point in the two-lap event. Owen MacKenzie of Los Altos was the surprise winner of the 3200m. at last year's section final. He had an injury shortened cross country season and will be hoping for a healthy spring. 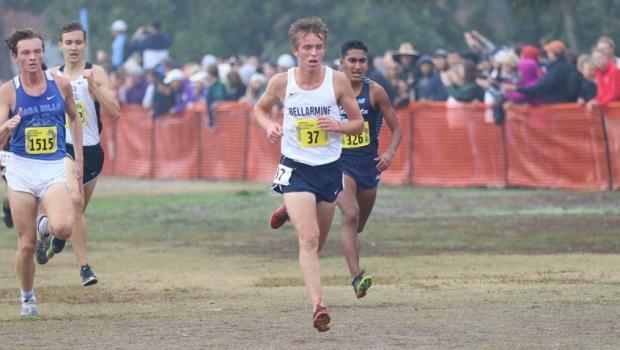 He will need to hold off Colton Colonna in this event as well as a very talented Henry Saul of Palo Alto who will try to duplicate his cross country success in the spring. Los Gatos will be looking to score some major points in the hurdle races as they have the fastest returning athletes in both hurdle races. Masaki Wada-Low (Pietro Brezzo photo) of Los Gatos crushed the field at the section final in the 110m. hurdle race as he finished with a lifetime best time of 14.14. He will need to repeat that effort this season in order to win and stay ahead of Anthony Delgado of San Benito (14.50). In the 300m. hurdles, Joey Monti of Los Gatos recorded his best time of 38.57 at the SCVAL championship race. He made the section final and finished just behind the top underclassman in the field, Harold Rucker of Homestead. Wada-Low has the third best returning time of 39.40 and will be looking for a top-three finish at the section final in this event. The favorite to win the long jump is 2017 section champion, Kamau Carlisle of The King's Academy. He finished in 4th place with a jump of 22-8" at the section final and had a best of 23-3.5". His main competition should come from Hank Thompson of St. Ignatius who was part of a very strong jump crew that included section champion Alex Enos. Kijana Hilton of Bellarmine was the 2018 section champion in the triple jump and will be returning to defend his title. 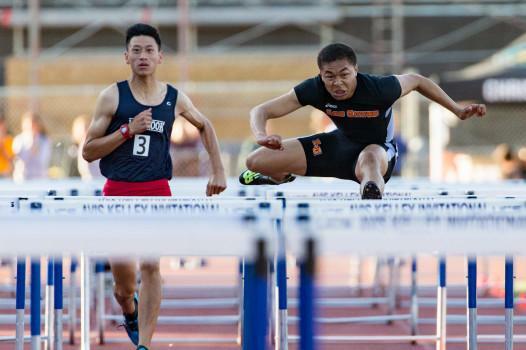 His main competition should come from Santa Teresa jumper Jared Vazquez who finished in third place last year to qualify for his first state Track and Field meet. Serra won the section team title finishing ahead of fellow WCAL member, Bellarmine as they scored points in both running and field events. In the high jump, Parker McDonald won the 2017 section title and finished in second place last year to contribute major points toward the team title. He will be favored to win this coming season and looking to improve his best mark of 6'7" from 2017. In the pole vault, a familiar name will be the favorite to win the section title. St. Francis junior Scott Toney finished in 2nd place last year and will be the top returner this season. Dad Steve was a state champion in the pole vault and brothers Shawn and Marc were also among the best in the section in the same event. Santa Teresa junior Bennett Yasin finished in 2nd place in the shot put with a lifetime best of 51-2.25". He is one of two section throwers who past the 50-foot distance last year along with Gonzalez thrower, Pablo Villasenor (50-9). In the discus, Jared Freeman of Gunn has the best-returning mark of 151-10 and is also the top returner from last year's section meet. Freeman finished in 4th place and just missed qualifying to the state finals by 9 inches. 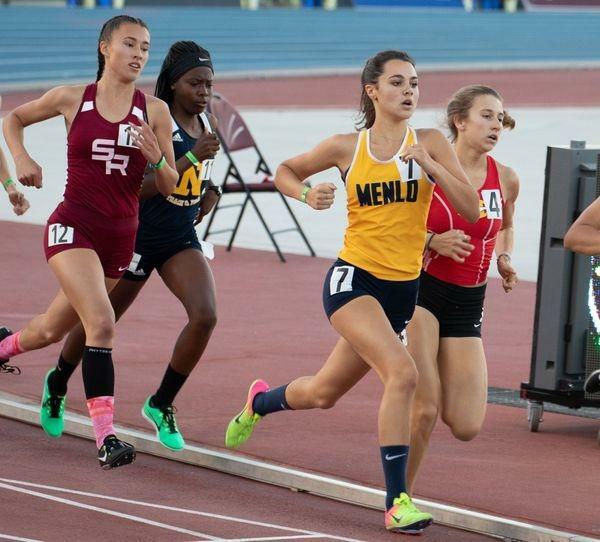 The Menlo Atherton girls' team finished in 2nd place as a team and will be strong contenders this year as they return two of the best sprinters in the section. Junior Jessica Eagle was the surprise winner in the 100m. as she finished ahead of two talented freshmen (Aniyah Augmon of Silver Creek and Karlie Lema of Live Oak) in a time of 12.16. MA junior Maggie Hall won the 200m. as she edged out Augmon to win her first section title. In the 400 meters, six of the eight finalists at last year's section final return including defending section champion, San Lorenzo Valley senior, Camryn Crouch. It's not often that the top four finishers in a girls' distance section final race are all seniors but that is what happened last year. That means that the road to the state championship appears to be wide open in the CCS 1600m. race. The top returner from last year's race is Scotts Valley senior Jessica Kain who finished in 5th place and had a best of 5:06.61. The King's Academy sophomore Anna Mokkapati had quite an adventure in claiming her first section title in the 3200m. During the early part of the race, she got "flat tired" and we will let her explain her road to victory. One of the top returning athletes in the section is Silver Creek senior, Jazlynn Shearer. She will be an overwhelming favorite in the 100m. hurdles as she will be attempting to win her fourth straight section title in the event. She will also be one of the top hurdlers in the state with a best of 13.66 from last year's state track trials. The top returning 300m. hurdler is Cupertino junior Maxine Schultz. She finished in 4th place at last year's section final at Gilroy HS and also recorded the fastest time for any underclassman at 45.01. St. Ignatius had quite a year in the long jump that included two section champions. SI freshman Megan Ronan completed the double with a victory in the event as she soared to 19-3. She finished ahead of Silver Creek's Jazlynn Shearer and we could have quite a duel once again this season as the top two jumpers from last year both return. Shearer will be quite busy as she also participates in the triple jump. She finished in 3rd place last year behind section champion and teammate Arianna Fisher who also, by the way, claimed the state title to boot. Santa Clara sophomore Maia Garcia finished in 2nd place at last year's section meet and has the best returning mark at 5-6. Along with Fisher, CCS had another state champion as Santa Catalina junior Laurel Wong claimed her first state championship in the pole vault. Unlike Fisher, Wong will be back to defend her title. The best thrower in the section will be Terra Nova senior, Carly Watts. She won both throwing events in 2018 and will be back to defend both titles. Both second place finishers from last year are back as well and will keep Watts honest. Notre Dame Belmont senior Krissy Smoot finished in second place in the shot put and was well within striking distance of the winning Thrower. In the discus, Mills senior Nane Ikahihifo finished in 2nd place and will be looking to qualify for another state meet along with Smooth who locked up a discus qualifying effort with a third-place finish.